Famous people born on February 7 could be the cream of the crop. The Aquarius born today is likely to be a strong individual who will stand up for his or her rights. They are intelligent, that’s for sure. They like things that are one of a kind and unusual. Traveling has given them a sense of belonging but not to this world. They are on the Most Wanted List probably because of this. People welcome them with open arms. However, if you share this February 7 famous birthday, you don’t have time to play mind games. You are genuine and true to yourself. You like to laugh and to have fun. Being tied down will usually irritate someone like you. Having the freedom to come and go as you please, famous people born on February 7 are able to come up with fresh and innovative ideas that will typically bring money to the table. In a nutshell, there’s no one like them… they are special. People are drawn to famous people born on February 7. They think these people are sweeties although they are intolerant of immature behavior. 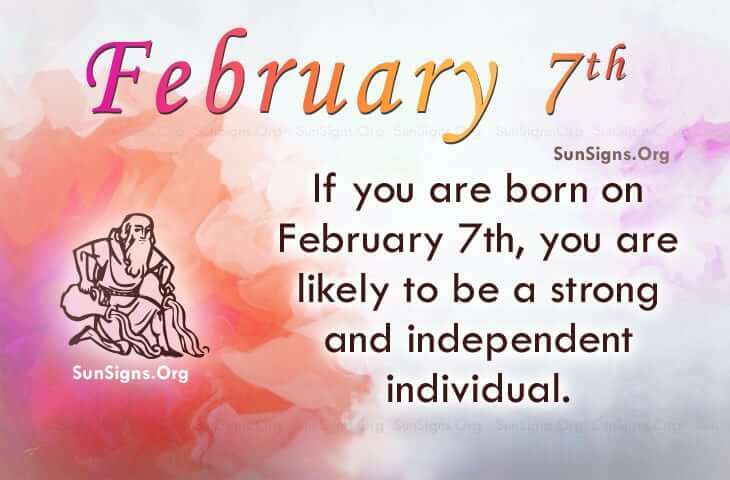 February 7th famous birthday Aquarius are smart people that are avid learners. They may be slightly vain and blunt but could write their own professional ticket to success.